Ophir’s series of power meters are designed with the highest sensitivity, lowest noise, and most precise calibrations in order to bring out maximum performance levels from their smart sensors. These power meters and PC interfaces operate on the smart plug principle, meaning that these devices can work with nearly all Ophir sensors. Ophir power meters are easy to use with smart keys that offer the simplest and most convenient user interface. Each unit includes an adaptable range of software that operates seamlessly with Ophir software or the user’s own. Types of power meters and interfaces include the StarBright, Vega, Nova, StarLite, Laser Star, Pulsar, and Juno. 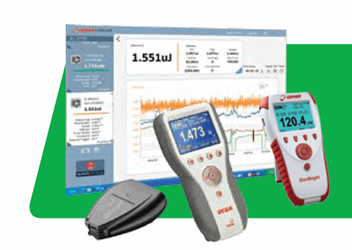 The power meter and interface catalog offers a brief overview of these different models, diagrams of interface characteristics, and other product specifications.